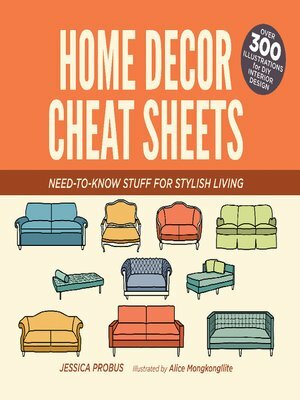 Home Decor Cheat Sheets by Jessica Probus and Alice Mongkongllite (Illustrations) shows what you should & should not do and the timeless design rules for a perfectly coordinated space. These colorful, easily to understand illustrations teaching you everything needed to attractively furnish, arrange and decorate your home. In mere seconds, you’re able to grasp the vital concepts needed to give your house an inspiring look. This interior design book is considered as the most important concepts of home design, decor and furnishing simplified into 300 friendly, easily to understand graphic. 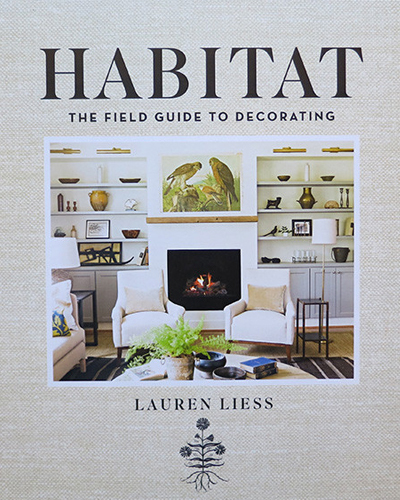 The author of this interior design book Lauren Liess who is also an interior designer and founder of the well-liked blog Pure Style Home, fuses her passion of design and the great outdoors into all her work. In this her first book, Lauren invites readers to bring nature inside by mixing the textures of natural elements such as wood and stone with eclectic groupings of modern and quirky vintage pieces. Readers will be inspired by the unique style of these rooms, which include beautiful framed botanical prints and Liess’s own textile patterns inspired by wildflowers and weeds. The book is divided into three sections: Part I focuses on the fundamental elements of design, with each chapter devoted to a particular element, such as color, lighting, and furniture; Part II addresses the intangibles of designing a space, such as aesthetics and creating a mood; and Part III tackles unique room-specific challenges in every part of the house. Have you ever wished you had the time and tools to decorate your house in a clutter-free, design-conscious, Pinterest-worthy way? 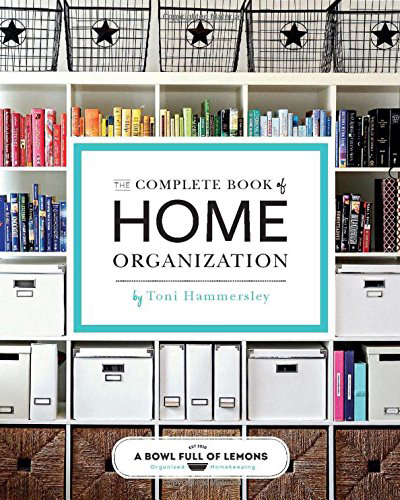 The author Toni Hammersley illustrates from storage solutions and cleaning tips to secret space-saving methods and expert strategies, The Complete Book of Home Organization is composed of tips and shortcuts you need to effectively design your home. From the basement to the attic, this book covers every nook and cranny. With step-by-step instructions, detailed illustrations, and handy checklists, say goodbye to a messy home and wasted storage space! It’s easy to find your own designing style confidence once you get this secret: While decorating can take months and tons of money, styling often takes just minutes. Even a few little tweaks can transform the way your room feels. 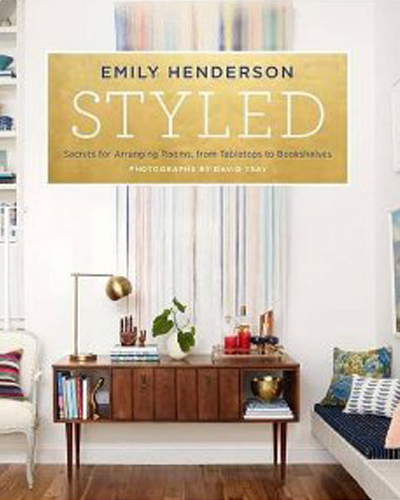 At the heart of Styled are Emily Henderson’s ten easy steps to styling any spaces. From editing out what you don’t love to repurpose, what you can’t live without to arranging the most eye-catching vignettes on any surface, you’ll learn how to make your own style magic. With Emily’s insider tips and more than 1,000 unique ideas from 75 envy-inducing rooms, you’ll soon be styling like you were born to do it. Perfectly named style maven and City Sage blogger Anne Sage knows a wise truth: decorating our living spaces for our goals is the first step in making them happen. In Sage Living, she opens the door to covetable dwellings designed to boost the dreams of their occupants, from the sunny, open-air kitchen of a holistic nutritionist to the eclectic living room of a world traveler ready to put down roots. 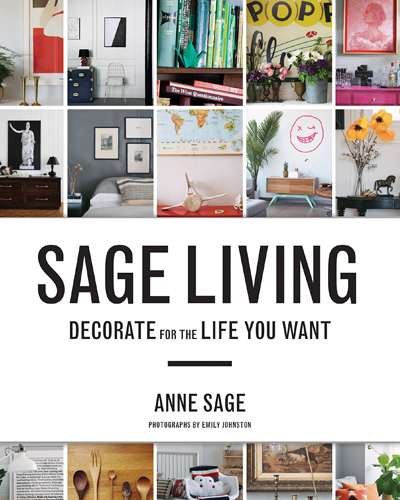 With page after page of stunning interiors, engagingly written home stories, and hundreds of design tips for every room, Sage Living goes beneath the stylized surface to help readers decorate for the lives they truly want. Remodelista.com is the go-to, undisputed authority for home interior design enthusiasts, remodelers, architects, and designers. If you desire to have the kind of home that looks like each piece was carefully selected by a personal decorator, this decor manual from the editors at Remodelista will help you achieve that sought-after high-low look. Remodelista has a singular and clearly defined aesthetic: classic pieces trump designs that are trendy and transient, and well-edited spaces take precedence over cluttered environments. In a world of design confusion, Remodelista takes the guesswork out of the process. It’s easy to feel discouraged and stuck while in the midst of making decor changes to your home, especially if you’re renting your space for the foreseeable future. 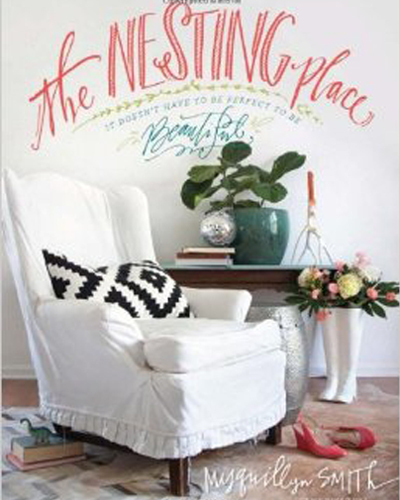 In The Nesting Place, Myquillyn Smith shares the secrets of decorating for real people—and it has nothing to do with creating a flawless look to wow your guests. It has everything to do with embracing the natural imperfection and chaos of daily living. 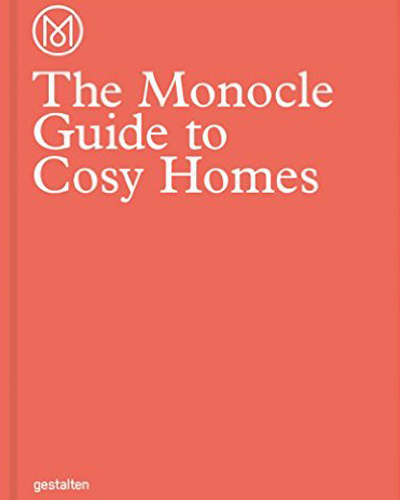 This Monocle book tells us how to turn a house into a cosy home. Both a practical guide and a great source of inspiration, The Monocle Guide to Cosy Homes presents the interiors, furniture, and locations you need to know about along with portraits of the people who can make it happen. This highbrow hardcover looks at a multitude of different types of homes, surveying the surrounding area just as much as the indoors, and profiling the regular people who have built a lovely, yet imperfect life within those walls. The secrets of casual, happy, and realistic living are disclosed in this book, making it one to return to time and time again. Authors Sherry and John Petersik now experience as the parents of two children. 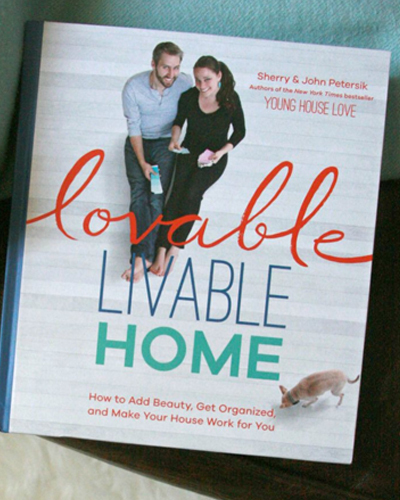 In their latest book, they’ve set out to prove that just because you have kids or pets doesn’t mean you’re sentenced to floors overrun with toys or furniture covered in plastic. Through never-before-seen makeovers in the Petersiks’ own house, doable DIY projects, and a gallery of other inspiring spaces, Lovable Livable Home shows how beautiful homes can be functional too. Following the bestselling success of Sarah Style, HGTV star and design queen Sarah Richardson invites readers into the homes she’s most proud of designing—her own! Renowned designer Sarah Richardson guides readers through a variety of houses—from urban spaces, to secluded farmland getaways, to the islands of cottage country—that all showcase her signature style of casual elegance and nature-inspired design. In addition to the hundreds of design tips and never-before-seen photos—including many from Sarah’s personal collection—there are forty-five beloved recipes that reflect Sarah’s design style: comforting, fun, and meant for sharing. This is a behind-the-scenes tour that will inspire readers to achieve winning style on any budget. 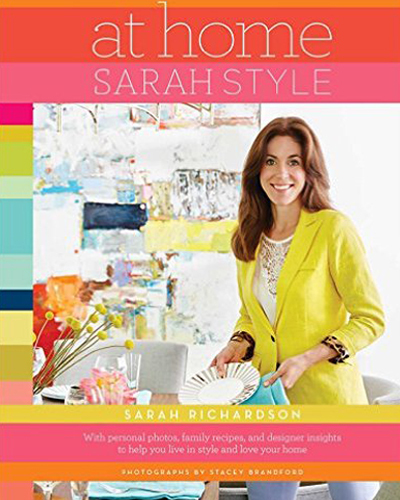 At Home: Sarah Style is the ultimate guide to living in style, loving your home, and entertaining with ease. If you’re keen on her personable style or a fellow lover of pretty, real-life decor, you’ll enjoy in this full-color tour of Melissa’s home and favorite family spaces alongside room-by-room ideas. 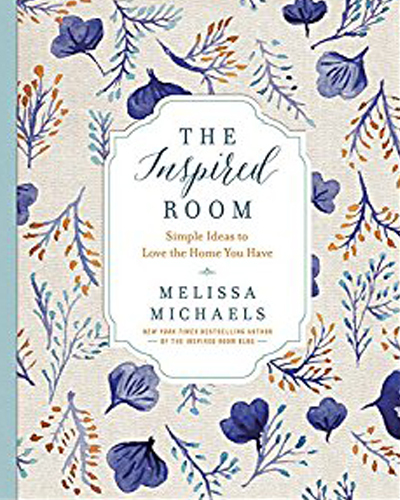 Best of all, you don’t need a huge budget or perfect DIY skills to embrace Melissa’s practical home decor philosophy. You’ll return to this book again and again for inspiration to fall in love with the home you have. 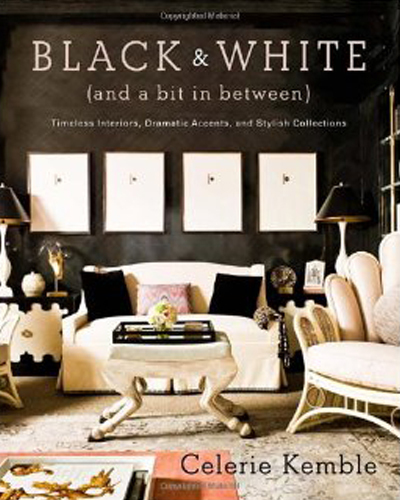 In Black and White (and a Bit in Between), acclaimed interior designer Celerie Kemble trades in her signature vibrant palette for this iconic aesthetic, highlighting the black and white work of design stars and peers, including Bunny Williams, Thomas O’Brien, Mary McDonald, Victoria Hagan, Mark Hampton, Delphine Krakoff, Brad Ford, Philip Gorrivan, Carrier and Co., and Miles Redd, and welcoming you into more than 100 spaces in every imaginable aesthetic. 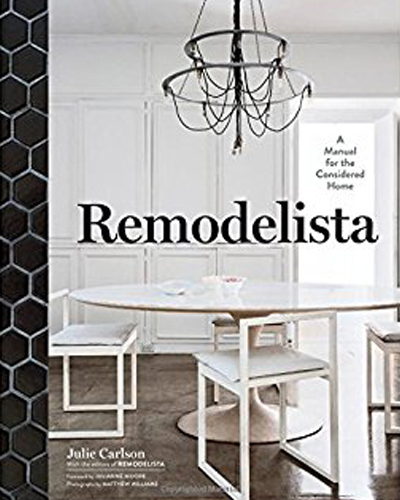 Woven throughout are her witty observations and expert advice on choosing the best paints and finishes, adding patterns and accessories, building an entire room scheme based on inspiration found in nature, collecting black and white objects, and even choosing the perfect accent colors. How Much is My House Worth Today? Online Estate Agents: What are they? How are they different? Should I Buy a House or Rent 2017? Should I Convert My Garage?